Eddie, please post some photos after the weekend so we can see what we missed. I hope you have a great turnout! Had a nice turnout yesterday of N GA friends, and new E TN neighbors and family. My daughter and her new husband came up from FL with a friend. 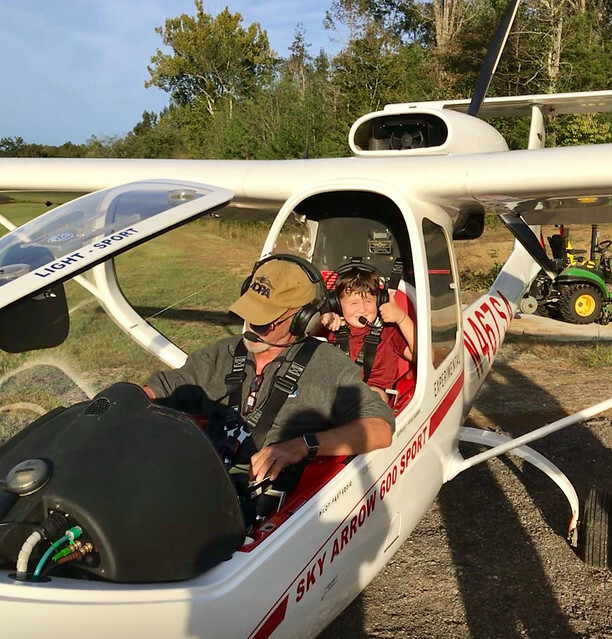 Gave some airplane rides, including the first ever for my 9-year-old grandson, Asher. Will be around all day today if anyone wants to swing by. Sorry I missed it, I'd love to see the place someday. I almost sent a text Saturday morning, my son and I were at MNV for their 2nd Saturday fly-in breakfast, it would have been a short hop over to your place. I figured I'd better get some grass strip experience with the Ercoupe at a larger field before I try your strip. It's been 25 years since I landed on grass, and that was in a C150.